This Elegant Barber Chair is designed to give your client the ultimate satisfaction and comfort. 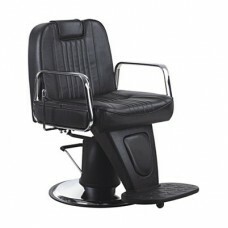 It has a reclining backrest and adjustable headrest for shaving and comfort. Superb fully hydraulic solid chrome base.